Raised grave sites and paved pathways. With little green space, Chevra Thilim Cemetery floods often. Shaded by oaks, burial vaults line the wall at this cemetery. A granite lintel sits astride two columns. 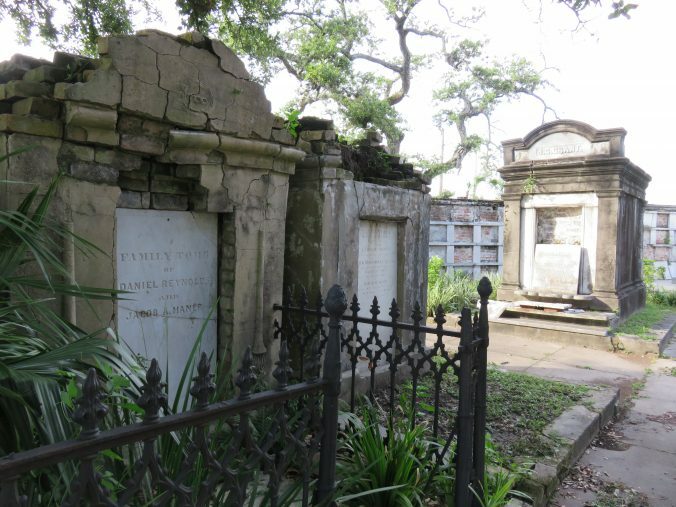 Join us for a special, Sunday afternoon walk-and-learn tour of New Orleans cemeteries, 1 p.m. Jan. 29, led by Emily Ford of Oak and Laurel Cemetery Preservation, LLC. 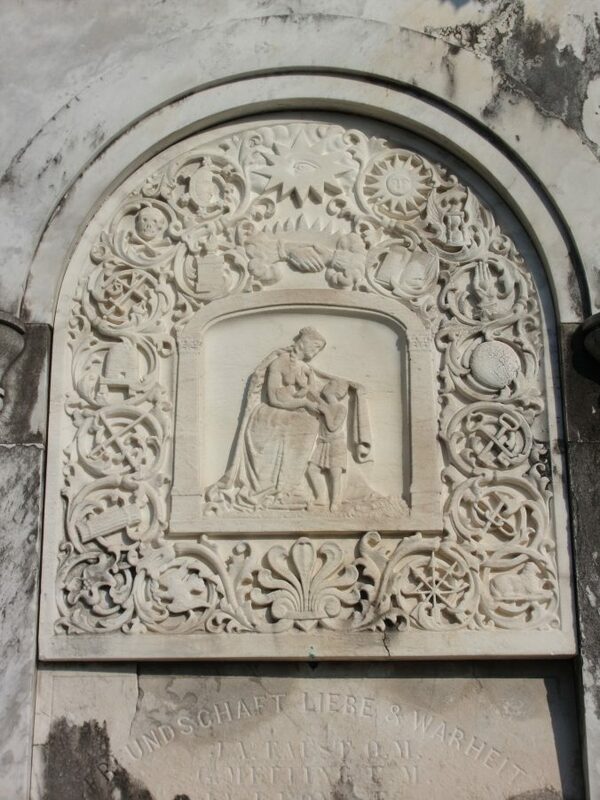 Emily specializes in the repair and restoration of New Orleans’ iconic tombs and mausoleums. While our cemeteries are among the area’s most popular destinations for tourists as well as locals, they are also left exposed to the elements and subjected to neglect. When tombs suffer damage, water is often the culprit. Years of paving worsen the situation in some cemeteries. However, there are solutions. 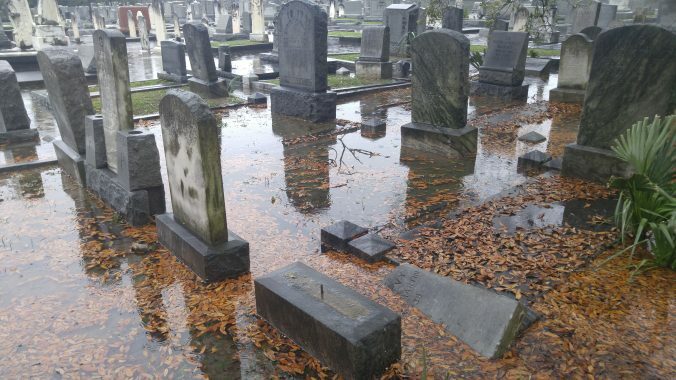 This half-mile walking tour, which will last approximately 1.5 hours, begins at Dispersed of Judah Cemetery, 4937 Canal St. Be sure to dress comfortably in sturdy footwear. Cemeteries are historic and civic sites of particular significance to many. Please arrive prepared to approach them with respect. Find more details and RSVP via Facebook.